Now that it’s August, the NHL free agency frenzy has finally started to die down. This allows us to take a big-picture look at how this year’s free agency period changed the Boston Bruins. Boston didn’t make any splashes this year, but that doesn’t mean none of their signings won’t have an immediate impact. The Bruins also lost a number of key players that they may not have an easy time replacing and will need to weather the storm. Let’s dive in. On July 1, Anton Khudobin signed a two-year, $5 million deal with the Dallas Stars to back up Ben Bishop. The Bruins will be losing their backup goaltender, which is unfortunate given the solid numbers he has produced during his second stint in Boston. He took a lot of pressure of Tuukka Rask in 2017-2018 and it’s a big reason the Bruins were able to compete down the stretch. Nick Holden never really did anything during his half-season in Boston and thus the Bruins will be letting him walk. He signed a two-year, $4.4 million deal with the Las Vegas Golden Knights and will likely compete for a spot on their bottom defensive pair. The former Bruins depth center is heading to Vancouver on a two-year, $3.8 million deal. Schaller played much better in Boston than many fans will ever give him credit for and his talents will definitely be missed by the team. 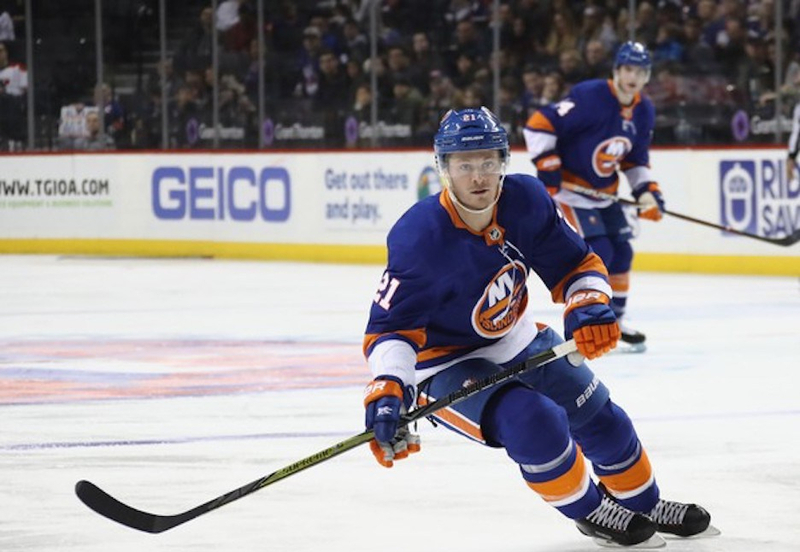 The Bruins will be losing a second depth center as Riley Nash is heading to the Columbus Blue Jackets on a three-year, $8.25 million contract. His departure leaves the Bruins with some question marks at center, but the team likely wasn’t going to match the offer Columbus made. The Bruins acquired 10-year veteran defenseman John Moore on a five-year, $13.75 million contract. This signing gives Boston a much-needed left-handed defenseman but makes the blue line roster quite crowded. Moore scored 18 points and posted a +3 rating over his 81 games with the New Jersey Devils last season. The Bruins will replace Khudobin with veteran goaltender Jaroslav Halak on a two-year, $5.5 million deal. Halak won 20 games for the New York Islanders last season with a .908 save percentage. He set the Islanders franchise record for wins with 38 back in the 2014-2015 season, but he has struggled to stay healthy ever since. Boston will hope he can stay healthy enough to take some pressure off of Rask much like Khudobin did last year. The Bruins first move at the beginning of free agency was signing Chris Wagner to a two-year, $2.5 million contract. Wagner only scored six goals with nine assists last season, but he ranked third in the NHL in hits with 253. He is a very physical depth forward who can play both center and winger. The Bruins added yet another potential depth center by signing Joakim Nordstrom to a two-year, $2 million contract. He accumulated 19 points over the last two seasons for the Carolina Hurricanes. They likely won’t play in the NHL this season, but the Bruins acquired forward Mark McNeil and defenseman Cody Goloubef for Providence. While they won’t make a big impact, nothing wrong with adding a couple of prospects.